Babylonian amora of the fourth century. He engaged in a ritual controversy with R. Aḥai in regard to the use of the Circassian goat as food. 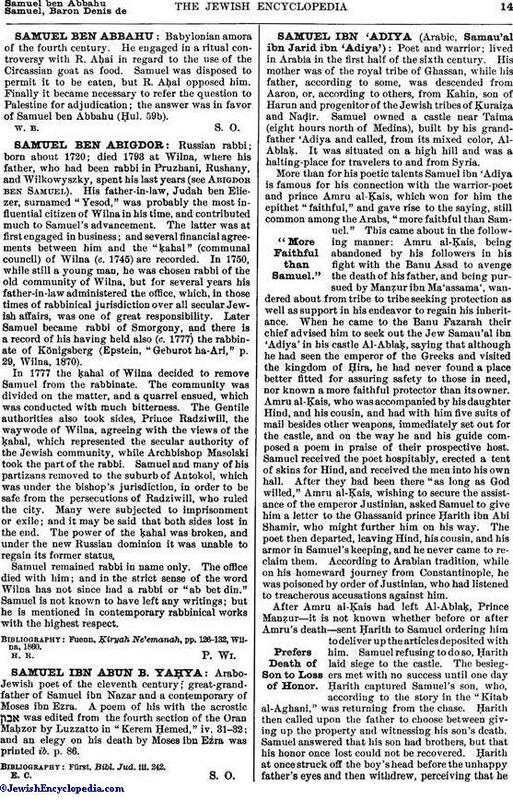 Samuel was disposed to permit it to be eaten, but R. Aḥai opposed him. Finally it became necessary to refer the question to Palestine for adjudication; the answer was in favor of Samuel ben Abbahu (Ḥul. 59b).